Spring Hours: Monday through Saturday, open from 9:00 am to 5:30 pm. 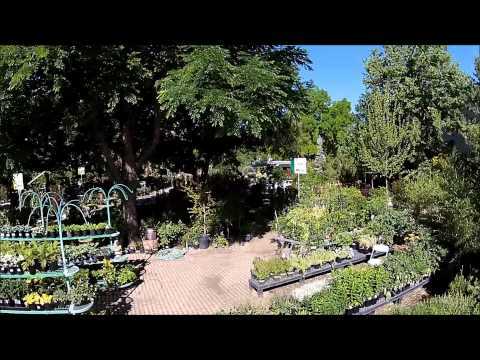 We carry a wide assortment of plants for all your gardening needs, from bedding plants, vegetables, perennials, roses, shrubs, fruit trees, shade trees and evergreens, all chosen for their ability to thrive in the Reno, Carson City and Lake Tahoe areas. We are happy to provide a wide range of services, from helping you select the right plants for your landscape and conditions to providing you with the right products for your needs. We encourage our customers to practice IPM (Integrated Pest Management), with the most effective practices and products with the least harmful results to our ecosystem. We are proud to carry a wide variety of organic gardening products as well as more traditional products. Bring in samples or pictures of plants having problems and we will be glad to consult with you on how to correct those problems. We want your garden to be beautiful and healthy! We also provide a full-service landscape service, from design through installation, of beautiful gardens, ponds, pavers . . . big or small, we will be happy to make your dream garden a reality.